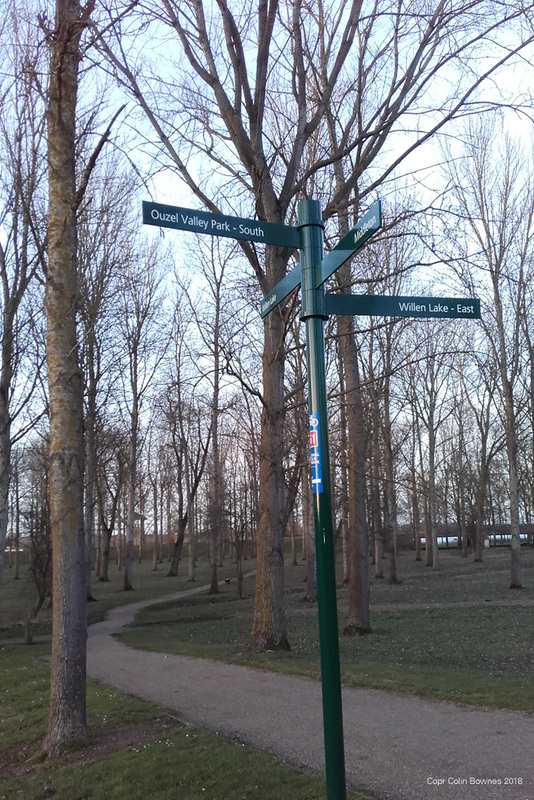 The Ouzel Trail is the one that everyone knows – from Caldecotte Lake to Willen Lake along the Ouzel Valley. Quite rightly it’s one of the most used cycle trails in MK because of it’s pastoral nature and apparently rural setting. This is truly the lower reaches of the Ouzel – only about three miles away (at Newport Pagnell) does the river end at the confluence with the river Ouse – and, as you would expect, the Ouzel apparently meanders along its flood plain in harmony with its surroundings. This is, however, a mirage. The Ouzel that you see now is almost entirely man-made. It has been straightened and canalised to increase the flow through the channel, and diverted around Willen Lake to control the flooding that used to happen every year. 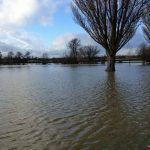 It’s because of this flooding that Caldecotte, Walton, and Willen Lakes exist and control of these floods were vital to the development of Milton Keynes. It is a credit to the planners, architects, and landscape designers of the Development Corporation that this route now seems so natural. It’s also testament to the amazing work that The Parks Trust do, year after year, to keep it that way (no – I don’t work for the Parks Trust – I just think they’re a bit taken for granted :-)). 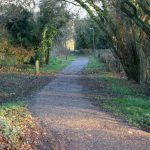 This trail takes the unusual route of travelling down the valley on the east side of the Ouzel, and returning on the west. This apparently minor difference gives you two completely separate views of the Ouzel – one is dominated by the Open University and new housing developments, while the other could be located in the Somerset Levels. 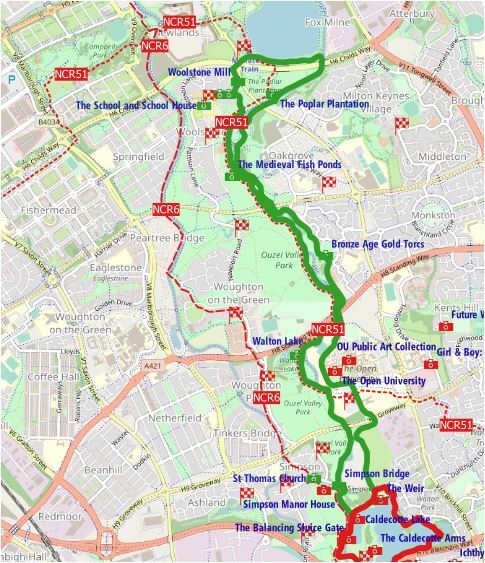 On the way you’ll visit the OU Art Trail; the site of a pre-roman (Bronze Age) hoard of gold; Willen Lake; the burial place of William Smith (a victorian steam pioneer and agriculturalist); a monks medieval fishery; and a redundant lake thats now a major biodiversity node. Not bad for an afternoons ride. The ride starts at The Caldecotte Arms and you need to go from the Car Park to the north end of the lake past the sluice gate and weir. 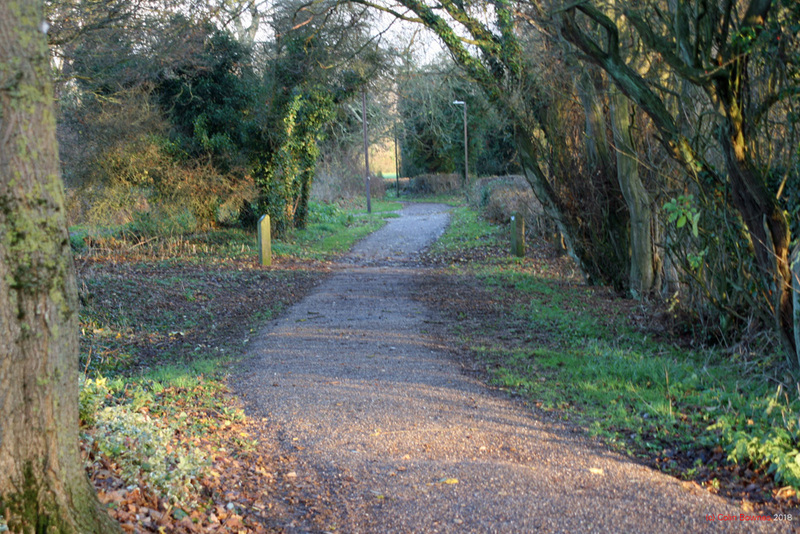 When you come to Simpson Road, you need to cross it onto the redway passing through Walton Meadow towards the OU. Pass under the H9 (Groveway) an onto Walton Drive until you get to Walton Hall to visit the OU Public Art Collection (see the Walton Trail and the Sculpture Walk Guide ). After your visit to the OU carry-on around the campus on the Ring Road West until, after the sports field you turn left onto the redway. 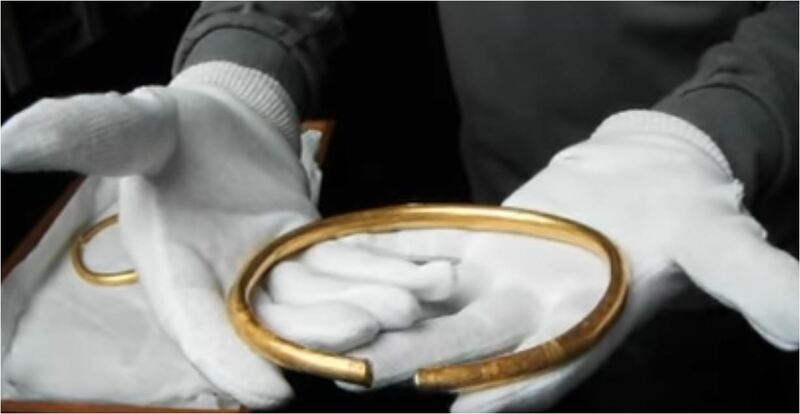 The Milton Keynes Hoard is a hoard of Bronze Age gold found in September 2000 in a field near Monkston in Milton Keynes, England. 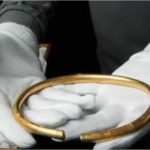 The hoard consisted of two torcs, three bracelets, and a fragment of bronze rod contained in a pottery vessel. The inclusion of pottery in the find enabled it to be dated to around 1150–800 BC. This bronze age house at Flag Fen is probably similar to those at Monkston. 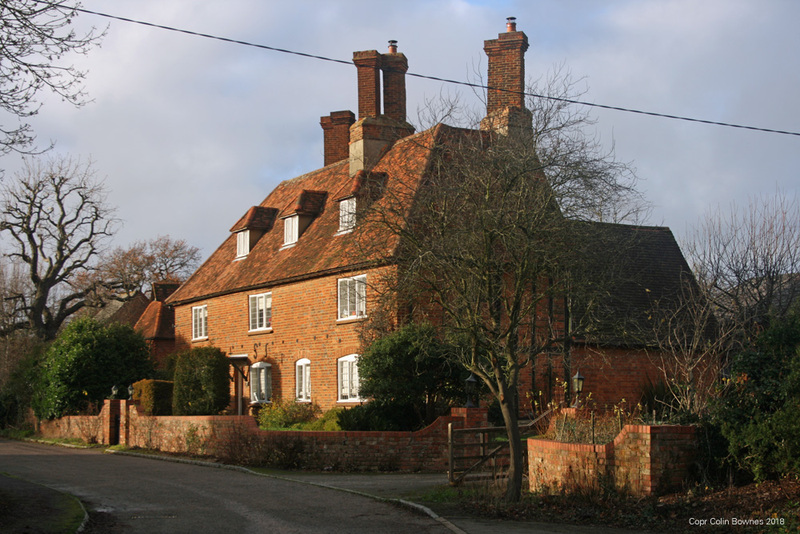 Perhaps the owners came from the nearby hill fort at Danesborough on Aspley Heath? Clearly the people of Monkston were thriving 3000 years ago! Follow the path down the Ouzel, passing under the H7 (Chaffron Way) bridge then, after about 500mtr the river and the path turn to the east and straighten out. 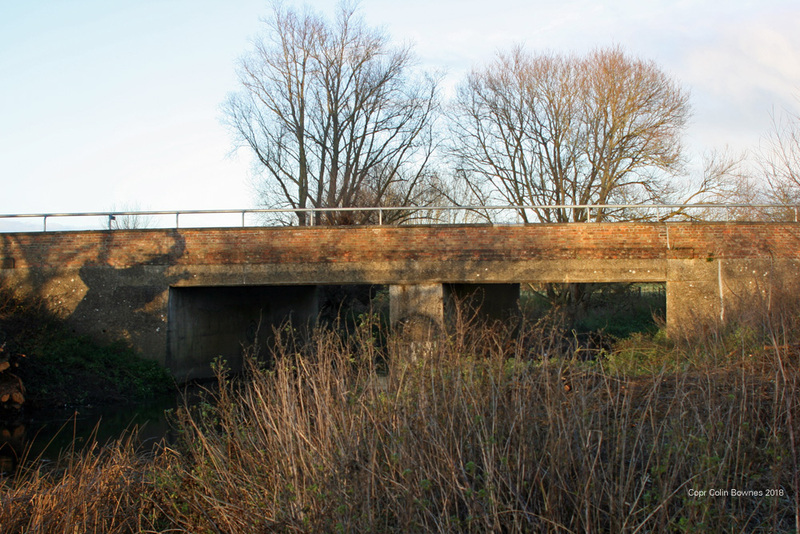 Pass under the V10 (Brickhill St) and cross the river by the bridge. You are now at The Poplar Plantation – the area of land that separarates the Ouzel from Willen Lake. This low lying area is planted with lines of Poplar trees – which transpire a lot of moisture to dry the land, and whose roots also bind the soil together, creating a barrier beween the river and the lake. This was originally designed by MKDC landscapers as a physical feature, but was also destined to become a ‘French Style’ camp site for visitors to the lake. Never took-off I’m afraid! 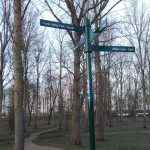 Turn right and follow the Ouzel under the H6 (Childs Way) until you come to the lake and then turn right to run along past the treetop climbing centre. Willen Lake was built in the 1970s as a balancing lake to absorb flood water. I’m pretty sure it was filled with water in 1975 because two of my friends were biology students at the time and had a job pushing a punt around it taking samples. They had a really difficult time cracking the ice in the winter. There are actually two lakes – the north lake being designated a nature area and the south being for leisure activities. There are loads of things to do at Willen, and it hosts many special occasions during the summer. It’s the most popular leisure area in Milton Keynes. 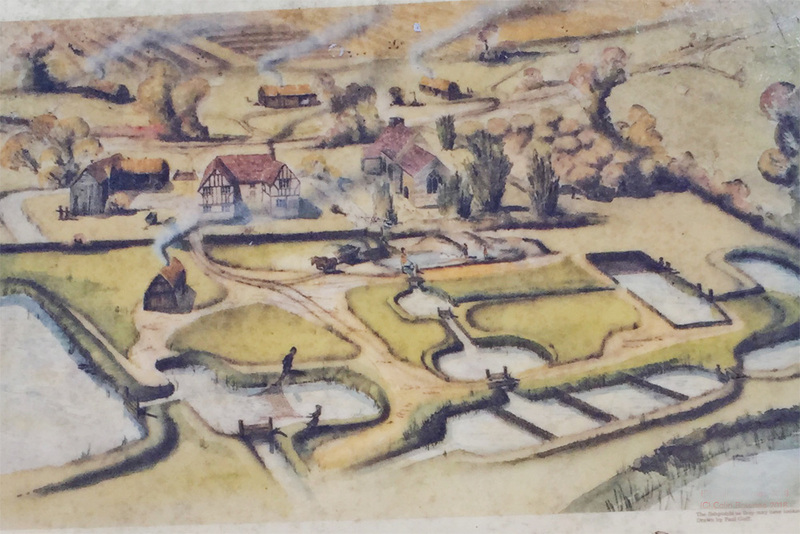 Drawing of Little Woolstone Mill (from the description on british-history.ac.uk – someone drew it but I can’t find a credit for it). Woolstone Corn Mill and Mill Race 1900s. The red dot is the bridge Over the Ouzel river. The lines show the route of the V10 and H6. Willen Lake is the blue area. Keeping the lake to your right, just after Treetop Extreme there is a left fork in the redway away from the lake. Cross the train tracks and pass straight under the Woolstone Roundabout. At the other side turn left (south) down Brickhill Street on the redway. After about 100mtr you will see a fork on your right – this is Mill Lane and you are now standing at the site of the Woolstone Mill. 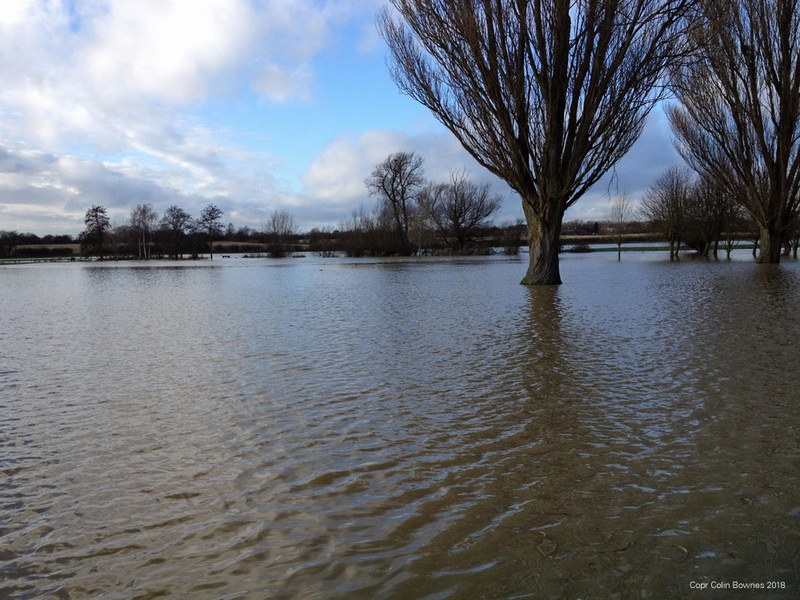 The Ouze Flooding at Stoney Stratford in 2012 – a similar view to looking from Woolstone to Milton Keynes in the winter! 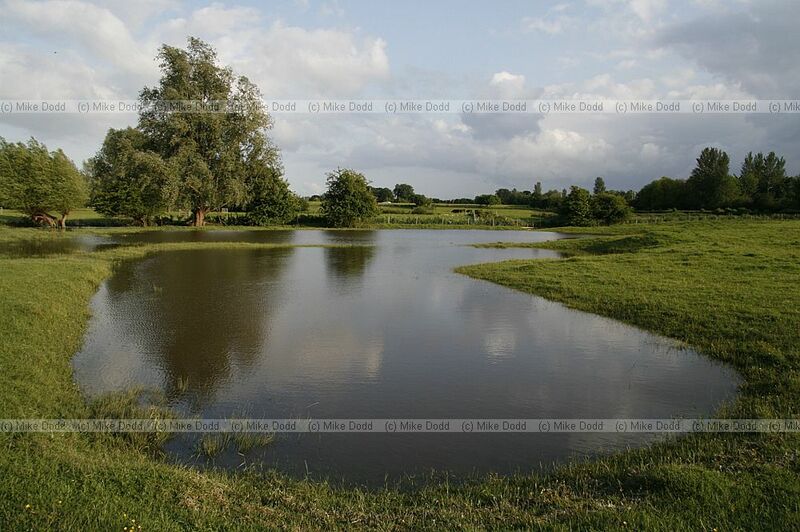 Before Willen Lake was built that is. 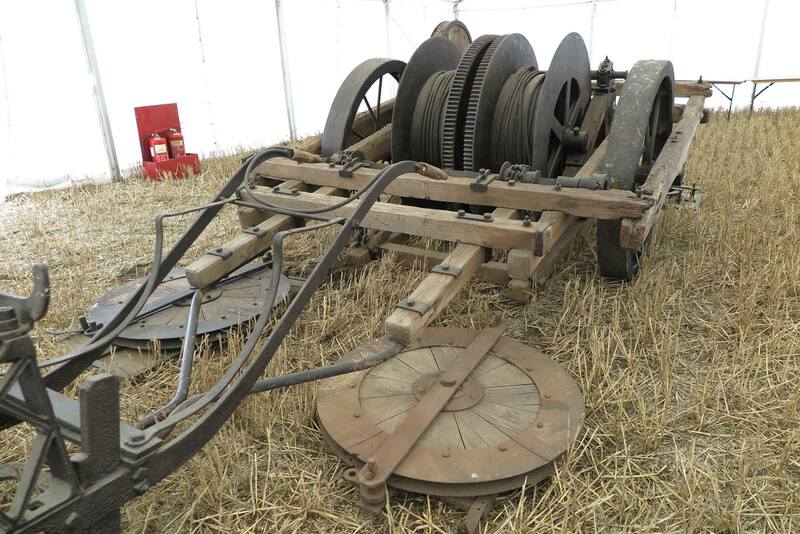 Immediately behind you was the Mill Building itself, while a few feet in front was the mill race – the full force of the Ouzel squeezed into a header pond for feeding the mill wheels. On the opposite bank was the overflow sluice gate and spillway pond – used to divert excess water. The noise of the waterwheel and cascading water was probably the loudest thing the locals had heard. 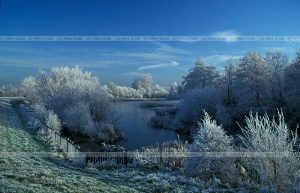 If it was winter you’d more likely be looking across a lake to Milton Keynes – the valley flooded every year. 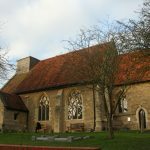 Ride for a few secods down Mill Lane and you will come to Lt Woolstone Holy Trinity Church which dates from the 13th century and is now a community centre. 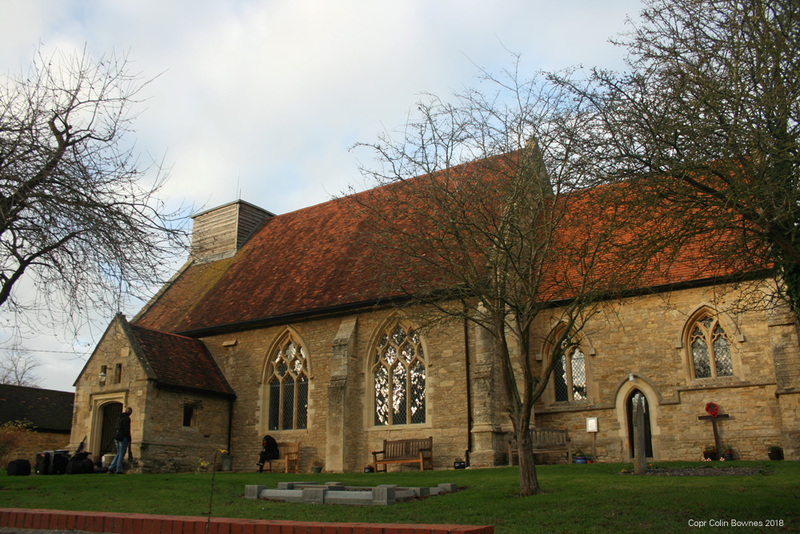 The church itself is fascinating and, like many of our local churches, was renovated in victorian times. 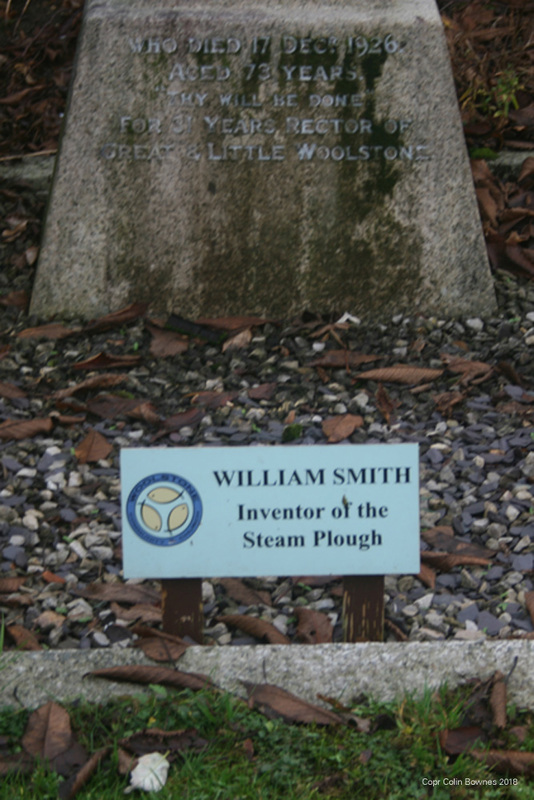 While visiting, in the front graveyard look for William Smiths memorial. 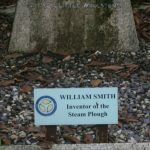 William Smith was not only rector of the church but a victorian innovator – he developed a method of steam ploughing that used only one steam engine at a greatly reduced the cost. His devices were sold all over the country and were a great success – click here. One of them is in the MK Museum collection. 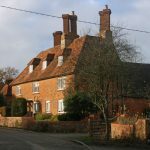 William Smith lived next door to the church in Church Farm – an imposing building, now a private house, which has an interesting Dovecote beside it. Sister Dora is famous in Walsall for the good work she did. This image is from ‘The Victorian Web’ pages – Memorial to Sister Dora (Dorothy Pattison, 1832-1878) by Francis John Williamson (1833-1920). I have tried but cannot contact the originator for permission. 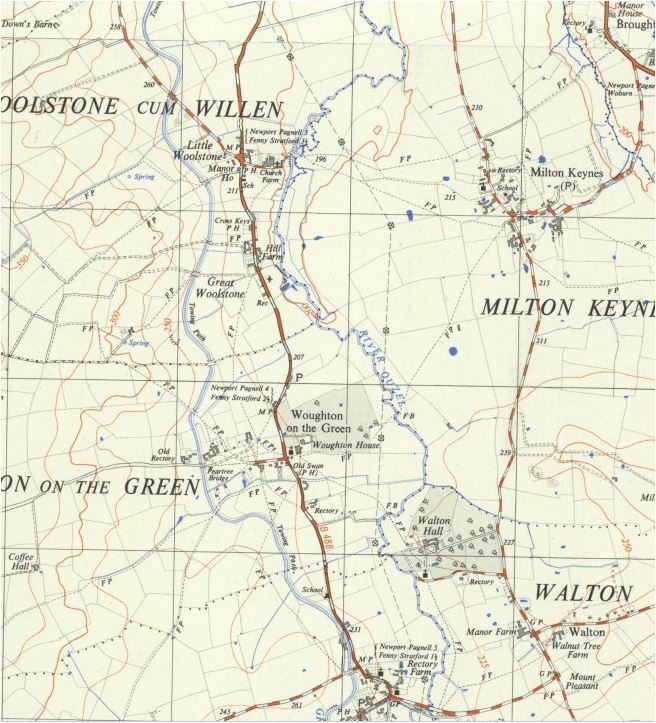 Dorothy Wyndlow Pattison was from Hauxwell, North Yorkshire. Her father was an overbearing and unpleasant man. Dorothy desperately wanted to nurse and join Florence Nightingale’s ‘Sisters of Mercy’, however her father wouldn’t allow it. Determined to escape she applied for the job as school teacher in little Woolstone. During her time as school mistress in Little Woolstone she was well liked. She spent most of her spare time either nursing the sick in the village or studying Florence Nightingale’s ‘Notes on Nursing’. In 1864 joined the Sisterhood of the Good Samaritan as Sister Dora, in Redcar. The following year she was put in charge of a hospital in Walsall. 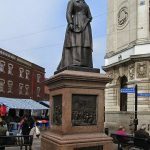 She followed Florence Nightingale’s nursing techniques as well as using some of her own. 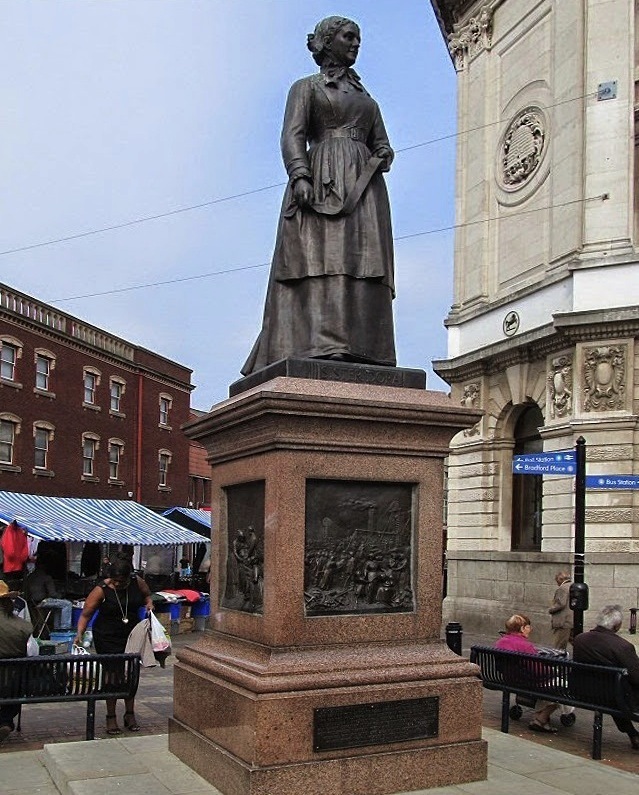 During the smallpox epidemic she was made superintendent of the Walsall Municipal Hospital. Sadly her nursing career only lasted about 14 years as she fell ill again and died on Christmas Eve 1878 aged 46. 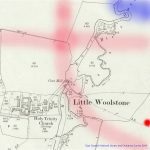 Sister Dora was much loved in the village and a plaque in her memory was hung in the Holy Trinity Church, Little Woolstone. 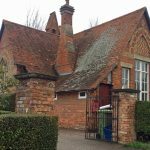 The school house is now on Newport Road – opposite Pattison Lane – and is a private house, but is well woth a look. 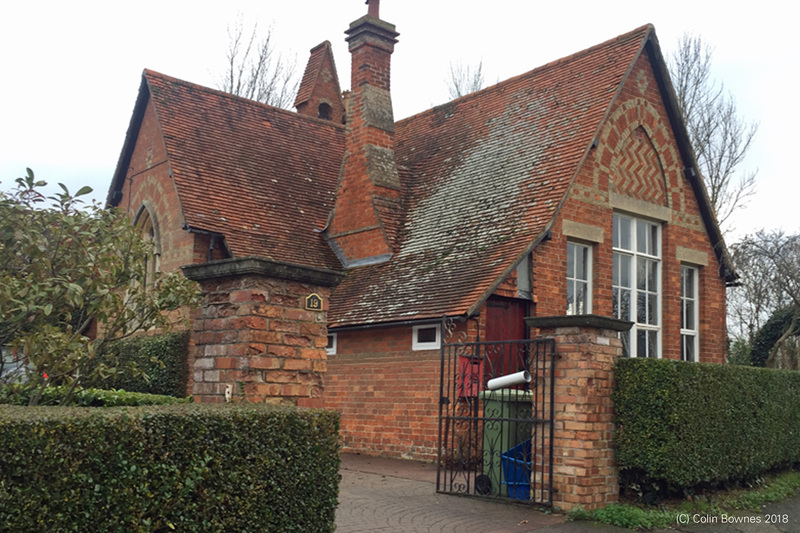 The Old Woolstone School – now a private house but originally where ‘Sister Dora’ was the first teacher. You can return to the route opposite Holy Trinity, or – if you went to the school – carry on down Newport Road until just past The Cross Keys and turn left to the river. You are now following NCR51. Travelling upstream you will, on your right, see an information board. The field not only contains a small chapel, but also looks very uneven. 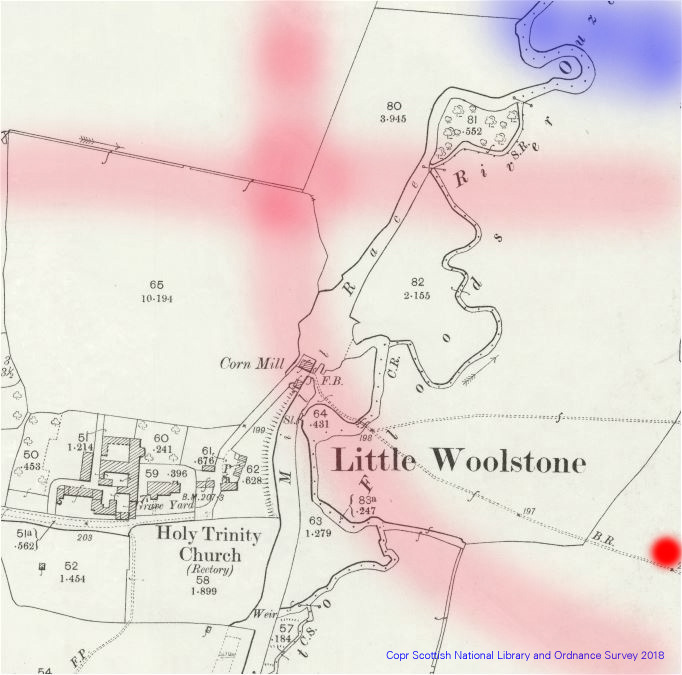 These are the noted Woolstone Medieval fish ponds. 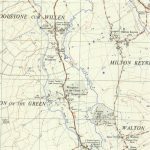 Woolstone Pond Information Board – the map explaining how the ponds were used. Woolstone Fish Pond Illustration from the information panel at the site. 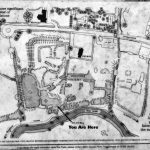 The information board will tell you the full story, but briefly these were part of a moated 13/14th century manor and fresh water fish ponds. the ponds were used to grow fresh fish for consumption on Friday by the largely catholic population. MK is far from the sea and the only fish supply would be dried and salted ‘stockfish’. 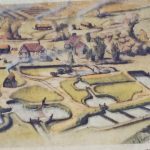 Fish ponds were a valuable asset in those times and the fish would be used by the Lord and sold in the local markets at Newport and Stoney Stratford. Keep the river to your left and travel upstream. You will pass through a number of gates which separate the grazing areas. These are part of the Parks Trust management strategy to keep the valley as meadowland – if the grazing animals were removed the valley would quicky turn into scrub and woodland. 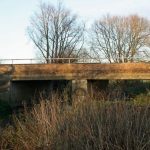 Pass under the H7 (Chaffron Way) and A421 (Standing Way) bridges and you will arrive at Walton Lake. 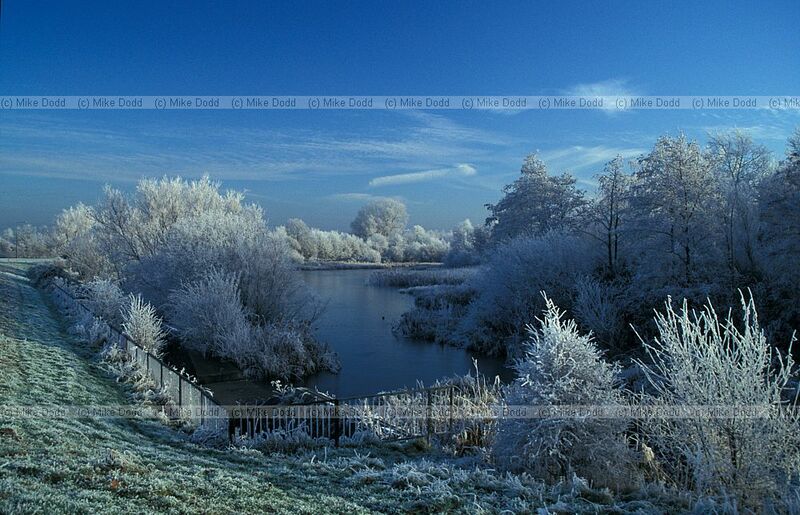 A beautiful winter view of Walton Lake taken by (c) Mike Dodd. Walton Lake is also a balancing lake, but it wan’t needed once Willen and Caldecotte Lakes were created so it was allowed to fill with reeds, creating a very different habitat from the open waters of most of the city’s other lakes. It is the combination of habitats that makes Walton Lake so rich in wildlife. Surrounding the reedbed are ponds and open water, ancient hedgerows and hay meadow, plus the River Ouzel running nearby. It does, however need a lot of management or it will fill-in completely. At the top end of the lake the Trust build boardwalks and bird hides and it’s worth diverting up the hill for access to to them – you also get the best views if the lake from here. 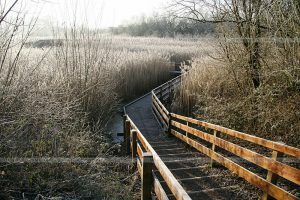 Look out for Reed Warbler, Reed Buntings and Water Rail, Sparrowhawks, Green Woodpeckers and breeding Kestrels. During the summer months the lakeside hums with insect species such as dragon and damselfly. And Walton Lake has a colony of grass-snakes whose shyness makes them hard to spot elsewhere (See the Parks Trust Website). 1 – Simpson Bridge is a brilliant place for Pooh Sticks if you have any kids with you. The Old Simpson Road at Simpson Bridge (from the car park). more a causeway really, with two smaller bridges. You can see the route that the original road took because the redway follows it. Travel back to the lake and you’re done.